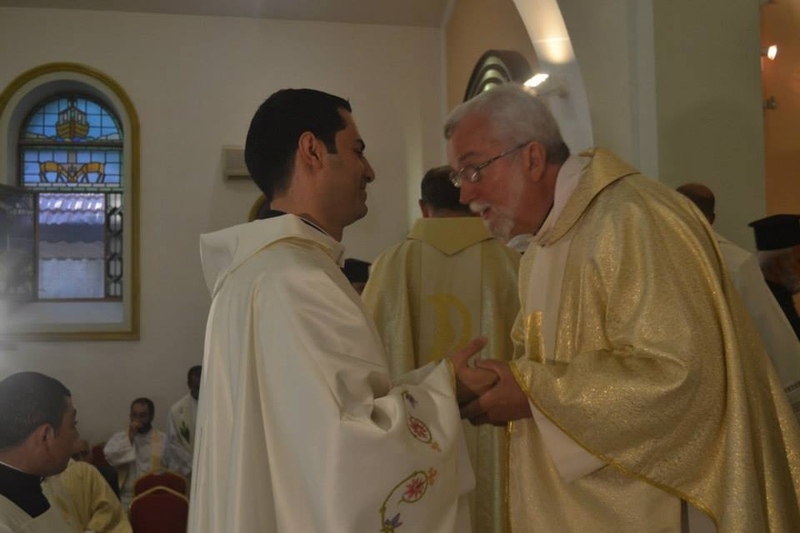 At the sign of peace that every priest extends to the newly ordained, I noticed that the Arab priests were kissing his hands before they kissed him. By the time I reached him, I had gone to school and learned. As it was mine to stand in front of him, I kissed both of his hands. I looked at him and simply said, “Abuna.” After I kissed both of his cheeks, he looked into my eyes with, “God bless you.” God has. What a joyous time for you to be part of this!! God is so good to you!